Prediction. Parts 1 and 2. And more to come. Now that we’ve passed the middle of 2011, I feel confident enough to suggest some of the things that I think we will have to think about in the near future. I did once acquire a crystal ball, but it didn’t work: I therefore offer no predictions, but rather some thoughts on what seems to be going on at the moment, focussing on the possible effects on the information management professions. I will mention some of these each day for the next couple of days. Please do not hesitate to comment, as well as to add issues and phenomena that are important in your field of endeavour. We have seen, for more than a decade, increased multifunctionality of information and communication technologies (ICTs). The phone is now a camera, voice recorder, workout monitor, letter writer, internet accesser, aide de memoire and map finder, as well as other things. This is a continuation of the development of computers, which were soon used for a lot more than just arithmetic and calculation. The social media and search engines are moving in the same way: FaceBook does email, Bing integrates FaceBook data, FaceBook can also be used to become a member of various blogs and webistes of interest. Google appears to positioning itself to run the Googleverse, as it develops its own versions of popular software – such as email and wordprocessing and social networking – as well as interesting additions such as Skype, blogging, Flickr and, of course, the library: Google books. And then there’s Google Scribe, which anticipates what you are going to write; Google Body, which allows you to peel back, layer by layer, the human body; and Google Goggles, which enables you to search Google using pictures from your smartphone. 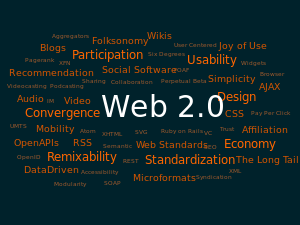 The appearance and ongoing development of Web 2.0 appears to have no end. In the analogue world, because of the relatively tedious ways in which documents were created and distributed, more control was possible, perhaps because of necessity. Documents were not created or published unless it was necessary for whatever reason. Publishing procedures were closely linked to bibliographic control systems: ISSNs, ISBNs, in book cataloguing information, edition statements and so forth formed part of a vast mechanism. But even before the 1980s, people complained about information overload. Then the internet appeared, and information professionals groaned: how on earth were we going to manage this flood of documents? It appeared that every Tina, Dorothy and Helen could publish whatever they liked. We didn’t even know what was out there, never mind trying to keep up with classification and cataloguing. And then Web 2.0 happened, with amazing social possibilities. The hallmark of this version of the internet is user creation and interaction. Barthes mentioned the ‘death of the author’, in the sense that each reader will recreate an author’s text, an idea explored also, in some detail, by Umberto Eco in his ‘The open work’. The death of the Author, with a capital A, has another interpretation now: the Author does not have to condoned, approved, validated, lionised or even recognisable to be able to publish as much as s/he wants to. The rise of secret gardens, or, the Splinterweb. Social networking is all well and good, but perhaps the hysteria is now over: do we all want everybody to know our every move, our ever mundane and trivial thought? And let’s not mention the time it takes to pursue this triviality. It seems that people are becoming more selective, perhaps more discreet and attempting to use their internet space and time more meaningfully. This would suggest not only targeted audiences, but a judicious and discriminating approach to who can see what. There is little doubt that, with the emphasis on intellectual property (note for example the astronomical number of patents that are being applied for and approved), most knowledge creators/publishers wish to protect and preserve theirs. So, while a considerable portion of the internet will remain public and open, increasingly we are likely to see inaccessible areas. Costs will be involved, flying in the face of the open access movment. As you may have noticed (or not, as the case may be), I haven’t written here for a while. I’ve been meeting a publishing deadline for a new book, which has been an exciting project (for me, anyway). This is a bit of a draft chapter on scoping out the role of education. I am writing about how best to educate information professionals for the digital age: the whole question of tertiary education is, at the moment, quite fraught anyway, as any of you so involved may be aware. As humans, we are engaged in teaching and learning from birth to death. We learn from living – from every experience we have – and no experience is ever wasted. Learning processes are affected by sensory input, physical sensations of energy, fatigue, pain, emotions, spiritual insights, and flashes of creativity. Knowledge is created from individual experience and vicariously, from the experiences of others, which are shared in a multitude of ways: directly in face-to-face conversations, through reading what others have written or recorded (in books or email, where communication is asynchronous) or through the mediation of technologies such as television or radio, or chatrooms, which may be synchronous. For centuries, a distinction has been made between such everyday learning, and ‘formal’ learning which takes place at certain times and venues, where there are clear and different roles for teacher and learner. The teacher is ‘somebody who knows’, and the learner is the person who lacks knowledge. (The learner, like the information user, is constructed in a deficiency model). The role of the teacher is multifaceted: s/he must socialise learners, training them to work respectfully with others, as well as conveying content and instilling in them the ability and the skill to learn how to learn. With regard to students in a first professional degree in information work in the 21st century, however, the model of a teacher in front of a classroom of children is not the best one that can be emulated. All information students, whether undergraduate or postgraduate, are adults. They live in a highly networked, digital information environment, one in which globalisation is present in many spheres, as are many problems – poverty and climate change amongst them. These students, as adults, already have a considerable amount of knowledge, gained formally and informally. The leitmotif of contemporary discourse is postmodernism, which places an emphasis and responsibility on individuals to attempt to make sense of the world we live in (a task in which information workers can assist). 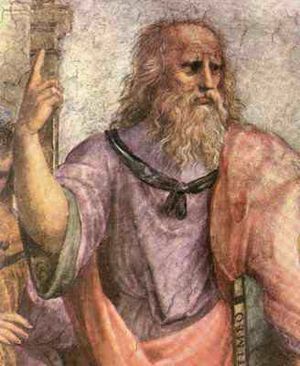 It stands to reason, therefore, that the ways in which the discipline/profession is taught is at least as important as what is taught. There are a number of components that will affect knowledge creation or the learning process. These include the personality, competencies and interests of the individual (and the teacher), as well as previous experiences and his/her cultural context, the space in which the exercise takes place, the complexity of the content, the time available, as well as many other factors. The teaching and assessment methods employed are usually predicated upon the epistemological approach to the content as well as to learning theory. Apart from content, the educational programme needs to be built on an intellectual framework or structure for the discipline/profession, to demonstrate clarity regarding its goals and responsibilities, and to provide clarity on the chief concepts within the theoretical framework. In addition, teaching techniques should encourage the development of the skills mentioned previously – such as working in teams, critical thinking, problem solving, collaboration, creativity and the like. Assessment and evaluation should also be aligned with the teaching philosophy. In this chapter, then, there is a brief review of framing epistemologies that are considered suitable for education for digital librarians, and the three predominant models of teaching/learning that are most common. The argument is made that a constructivist methodology supporting the heutagogical model (which resonates with critical pedagogy) is probably the most suitable, and can be used for the design of course experience and student assessment and evaluation. While there is a healthy body of literature on teaching and learning, educational theory and adult learning, in particular, no attempt is made here to summarise or critique it. It is not original to note that the use of ICTs has already changed formal and informal education, but their use is still embryonic, and a great deal of research is being currently undertaken with regard to online learning, also known as elearning or Web 2.0 education. Specifically, these terms designate a physical distance between the teacher, the documents referred to and the students – and between the students as well. Networking enables conversation, remote access to documents and creation and distribution of other documents. Elearning exploits audio-visual media as well as text, synchronous and asynchronous communication, and the mediating technologies can be mobile, such as smartphones and tablets. This has given rise to renewed emphasis on making educational resources ‘open’, that is, freely available on the internet, and one of the first universities to do this was the Massachusetts Institute of Technology (MIT) in 2002, with its OpenCourseWare project (see, for example, the portal at InfoCoBuild [online] http://www.infocobuild.com/education/education.html). Alongside these developments, there has been increasing interest in the idea of open access materials in publishing generally, with a focus on educational resources, currently spearheaded by Wayne Mackintosh of Otago Polytechnic, New Zealand with the Open Education Resource (OER) Foundation ([Online] http://wikieducator.org/OERF:Home) and the WikiEducator ([online] http://wikieducator.org/Main_Page). This counteracts to a certain extent the extraordinary rise in for-profit online education, to which Daniel (2011) refers, and which points to the increasing commodification and commercialisation of higher education, in particular. The OER venture, if successful, will also go some way to assist in providing access to quality tertiary education and research in Majority World countries. Amongst all the technological changes, perhaps the most noteworthy characteristic is the relatively easy and cheap access to information resources, which has blurred the distinctions between who has knowledge, who shares knowledge, and the ways in which individuals create their own knowledges. There is little point in memorising a great deal if access is so easy (Berg, Berquam and Christoph, 2007). University students form only a section of internet users who can all control online content delivery, create information to share with others (via blogs, wikis, FaceBook notes, websites and mashups) and create knowledge themselves (e.g. Klamma, Cao and Spaniol, 2004; Lenhart and Madden, 2005). Commenting, communicating, contributing and collaborating are activities that students – and many others – engage with every day. Furthermore, education is only one area in which rapid change is taking place, and a major challenge facing higher education now is preparing students for a different future. Mobility, flexibility, lifelong learning and job-readiness must all be considered, to encourage the development of people who can cope with uncertainty and change. advance our understanding of multifaceted issues, which involve social, economic, scientific and cultural dimensions and our ability to respond to them. [Higher education] should lead society in generating global knowledge to address global challenges… Higher education must not only give solid skills for the present and future world but must also contribute to the education of ethical citizens committed to the construction of peace, the defense of human rights and the values of democracy (UNESCO, 2009, pp. 2-3). The two essential facts are… the increasing proportion of free time and the rapidity of change. The latter requires continuous education; the former makes it possible (Hutchins, 1970, p. 130). Schön, whose work has been referred to previously in connection with professionalism, is considered by Ranson (1998, p. 2) to be “the great theorist of the learning society”. Schön is another scholar who has noted the turbulence of the modern age and the loss of the ‘stable state’, which convinced people of the unchangeability or constancy of life, or at least the “belief that we can attain such a constancy” (Schon, 1973, p. 9). Technology is disruptive, however, and has threatened the ‘stable state’, so even while a desire exists to remain the same, there is a continuous process of transformation which demands proficiency at learning (Schön, 1973, p. 26). Schön was particularly concerned with ‘professional’ learning, and as demonstrated in his work The reflective practitioner (1983), he associated the problem firmly with the rise of what he calls ‘technical-rationality’. ‘Technical rationality’ is described by Usher et al. (1997, p. 143) as “a positivist epistemology of practice… the dominant paradigm which has failed to resolve the dilemma of rigour versus relevance confronting professionals”. Schön’s reaction to this was the development of the notions of ‘reflection-in-action’ and ‘reflection-on-action’, which respectively deal with considering what a person already knows and his/her attitudes towards a problem in order to understand it, and considering the phenomenon after the event (Schön, 1983, p. 68). It is tempting to note the phronesis in Schön’s thinking.